January is a month of renewal and a perfect time for change. Some of you may want to take on a full renovation, but if you aren’t ready to go that far we suggest you just add a few new items to refresh your home. Lets start with your dinner table. 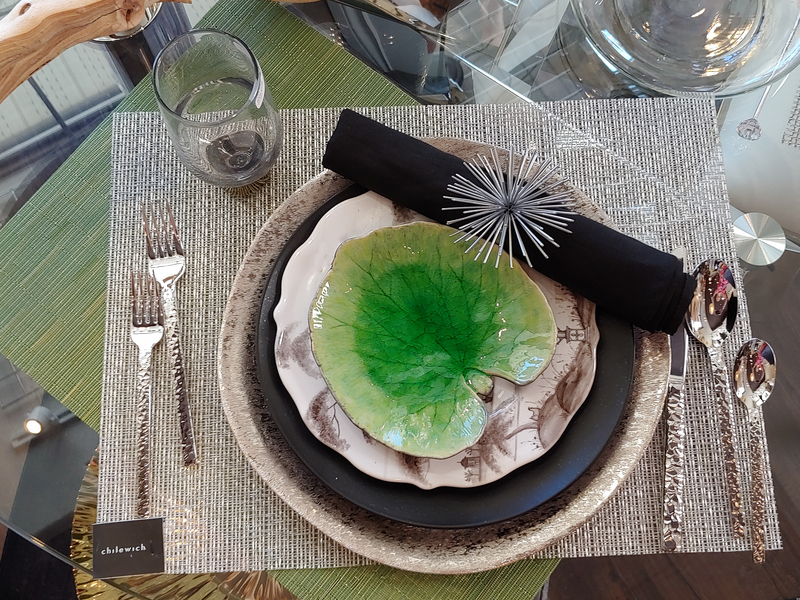 We have some examples that show how adding some new placemats, linens or accent dinnerware and chargers can refresh your table and help you create a whole new look for your mealtimes in 2019. 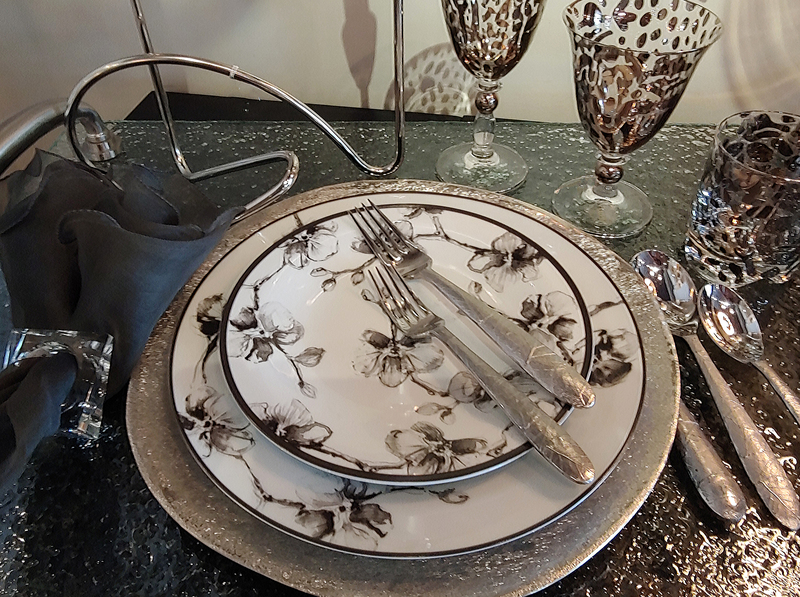 White or neutral dinnerware is always a smart investment and you will realize how it pays off when you can easily change things up and make a statement by adding a few accent salad plates or even a charger. If it’s a refresh you are after, the Melagrana Blu collection from Vietri could be your answer. 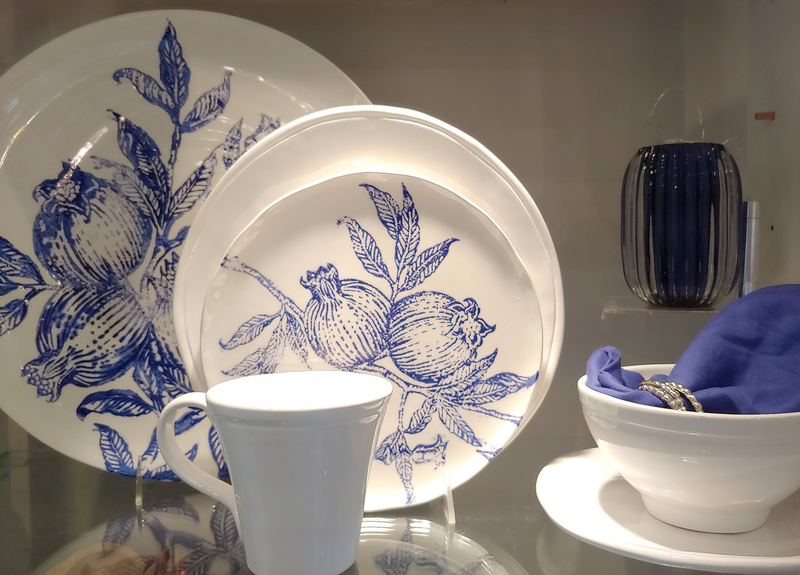 We love the fresh pomegranate imagery in crisp blue and white. The addition of matching cobalt blue napkins finish off this look. 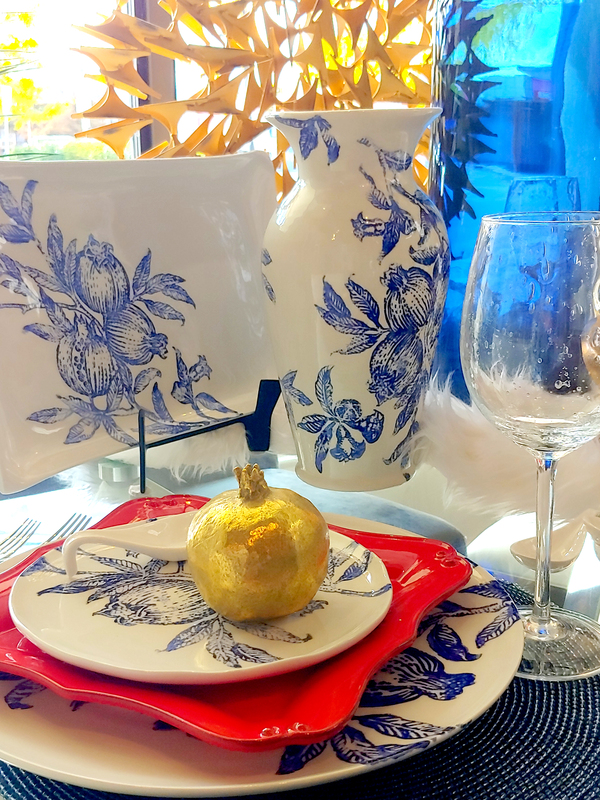 If you want to take the change to a whole new level you can even experiment with additional layers like beaded placemats in blue, accent plates in a complementary orange-red colour that pops and a gold pomegranate for some glamorous fun on top. 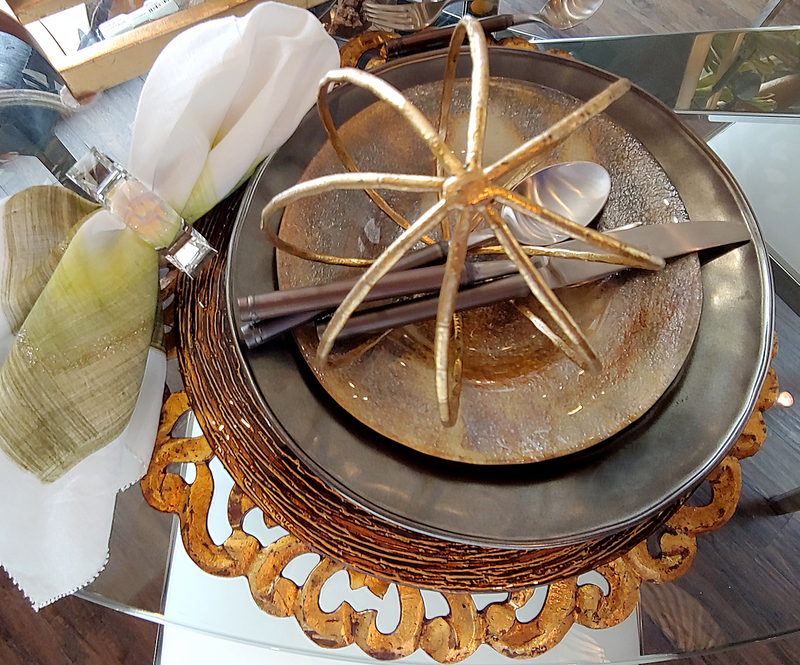 Change the look entirely for another occasion by adding a gold charger instead and these beautiful white hibiscus glass bud vases that are from Vietri as well. 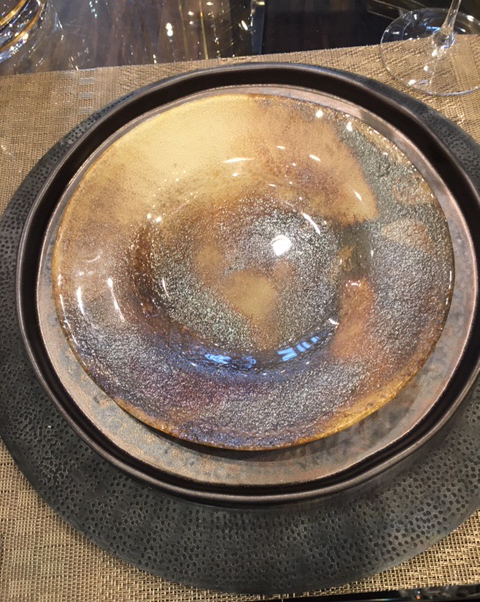 Bring a piece of the earth to dinner not only in your fresh produce, but in the rich browns of these dinnerware pieces from Vietri aptly named Earth Glass. 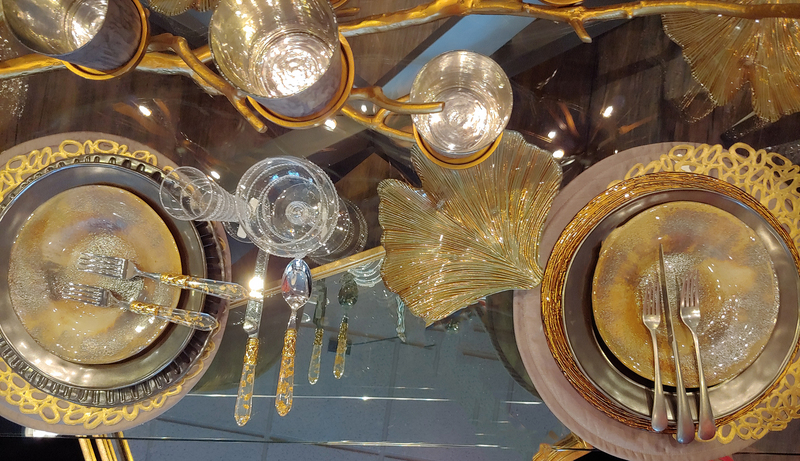 These accent salad plates almost glisten as if they contain flecks of minerals and gold. Again we are sharing several different looks. Which one do you like best? 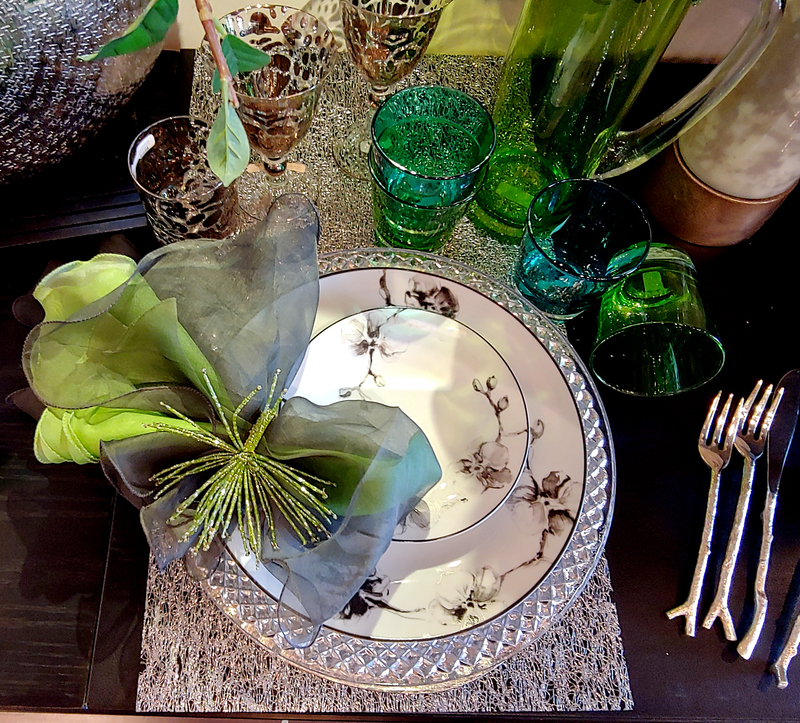 The key to achieving an interesting tablescape is being open to steping away from the traditional way of setting a table and having some fun with it. 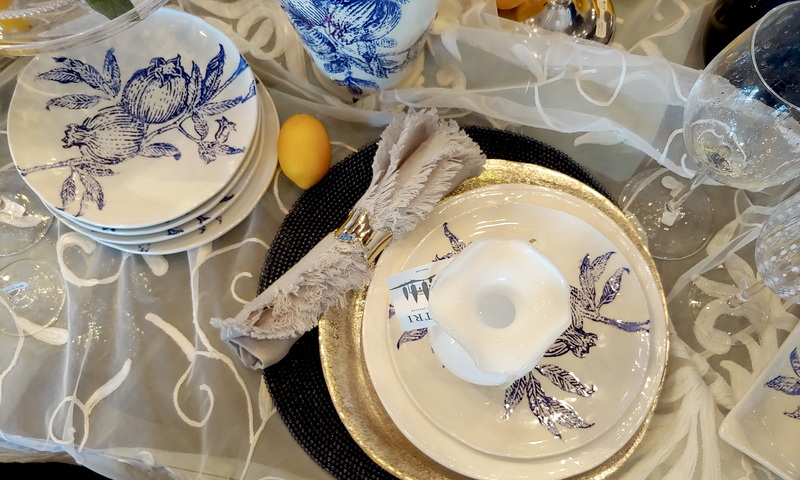 Don’t be afraid to layer more than one placemat for example and consider different shapes, textures and colour when selecting these layers as well as your dinnerware and charger layers. 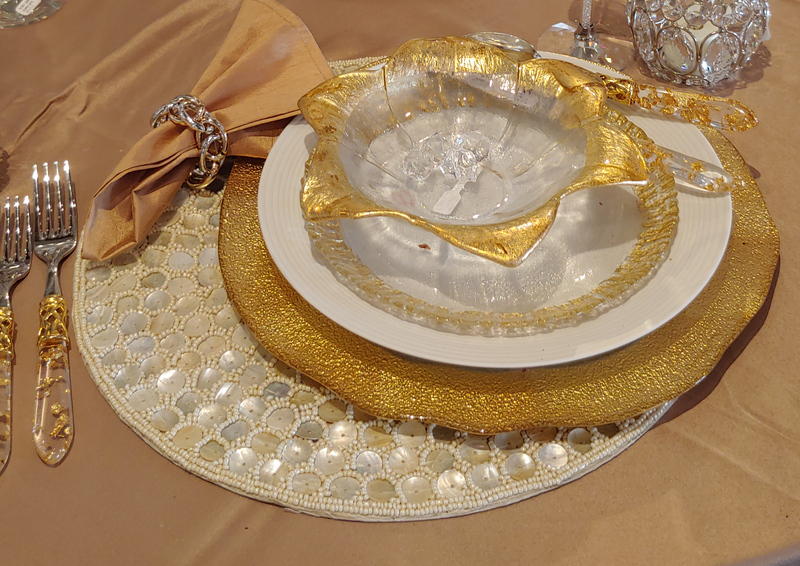 Your plates also don’t necessarily have to line up perfectly in the centre of your placemat. Your guests will appreciate the unexpected. Now that we have packed away the boxes of Christmas who is already thinking about spring? 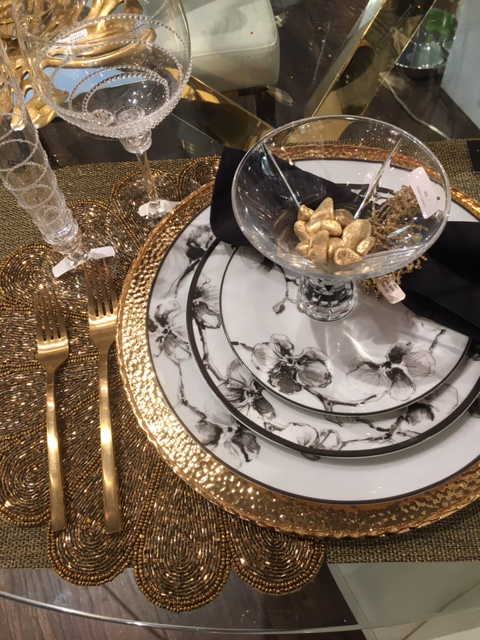 Why not infuse a few hints of nature into your spread with the Botanical Leaf Collection, Black Orchid Collection or yes more Pomegranates, but in gold this time from Michael Aram. Nature and floral patterns are hot for 2019. 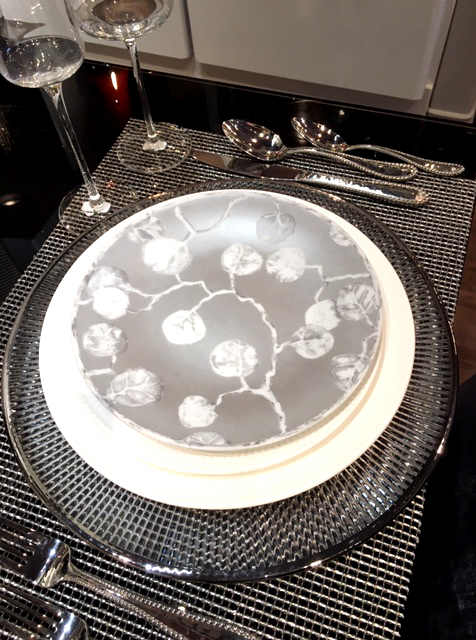 See the power of the layers again in creating three different moods using the same dinnerware. 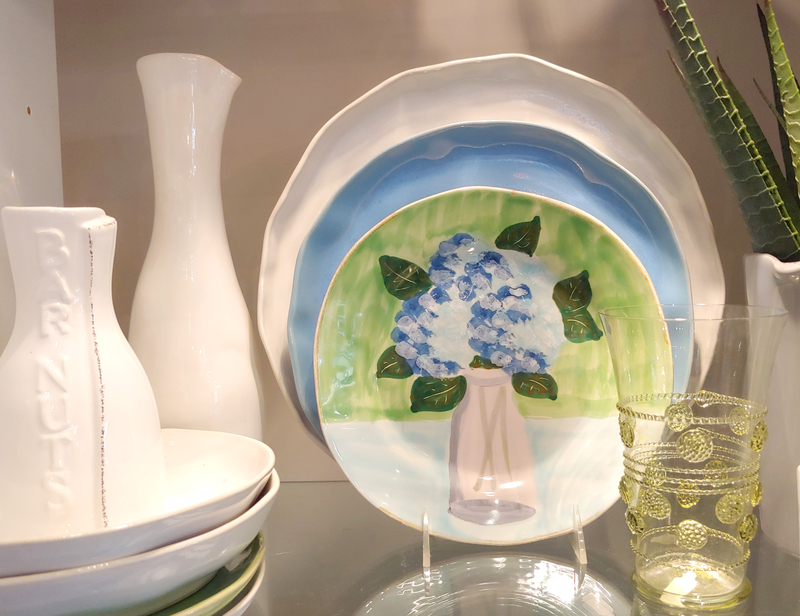 Perhaps you have some dinnerware favourites already at home that just need the company of a few accent pieces, a runner or even some flatware to make them more dinner party ready. Creating a new look for you is our specialty and we have fun doing it so stop in to play with us. 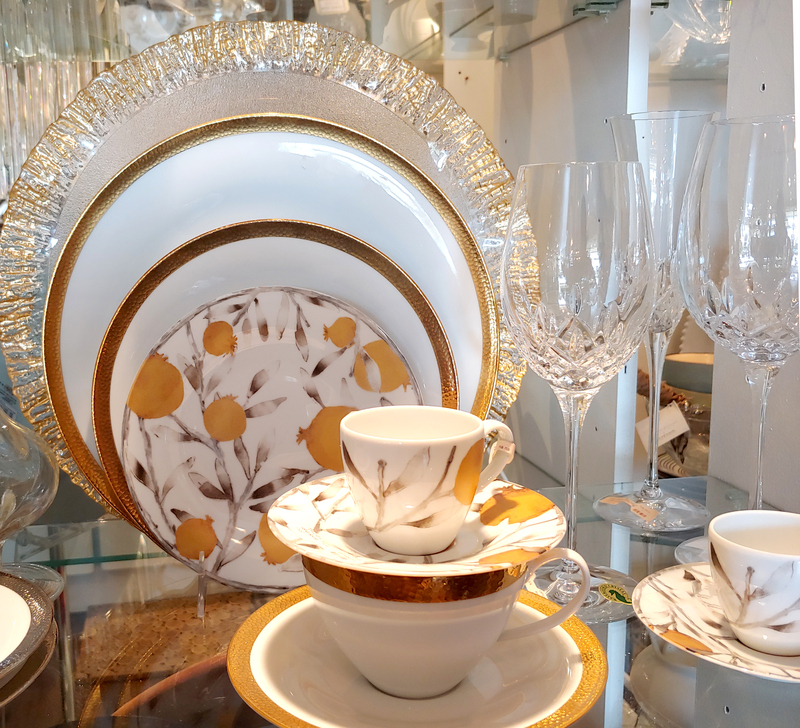 Even drop in with a few pieces of your current dinnerware and we will work with you to find the perfect pieces to refresh and recharge your tablesetting for the New Year! Here are a few more looks to inspire you. Thanks so much Johanna for taking the time to read our latest blog post! We are so happy you loved it!